Few weeks before the party, Eiffel's mom & dad sent me those little Disney toys they bought. Really like those toys, the Donald Duck has a float with it. 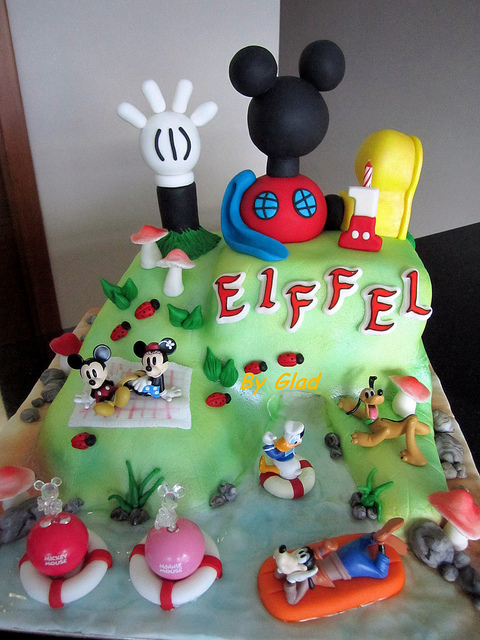 First thing cross my mind was "water" for this cake (afterall Eiffel's mom leaves the entire design to me. So I decided to carve the cake). The two pink and red ball with 'tranparents Mickey and Minnie' supposed to glow after shaked (I didn't test it out though).